In this article of homeo expert, we shall discuss Homeopathic medicine for Diabetes. Before starting homeopathic treatment for Diabetes, we should know that what is Diabetes. Currently, there are two types of Diabetes we shall discuss them one by one. We can also call type 1 Diabetes as Insulin Dependent Diabetes Mellitus (IDDM). It is a set of symptoms which shows us the increased level of sugar in the blood. It happens because of the deficiency or inactivity of hormone “insulin”. Insulin is necessary to monitor or maintain the glucose metabolism of the body. Type 1 Diabetes is frequently seen in children though it can also affect the adults. It is spreading in the whole world. If we will not pay heed to it, it may lead to a serious condition. We have homeopathic medicine for diabetes whether it is type 1 or 2. It may occur because of the decreased production of “Insulin” by the pancreas. It happens because of the loss of insulin-producing cells of the pancreas. Auto-immunity is another cause of IDDM where the body defense mechanism starts attacking their own organs and tissues. Genetic factors are also holding the main role to alter the immunity. You can face type 1 Diabetes by some viral infections and stress-related environmental factors etc. Polyuria (frequent urination), polydipsia (increased thirst), Polyphagia (excessive hunger/appetite) are the basic symptoms. The development of these symptoms is instant in children. Additionally, you may lose weight and excessive fatigue. We can also call type 2 Diabetes as Non-Insulin Dependent Diabetes Mellitus (NIDDM). As we know that reason of diabetes, therefore, we can say that it is a metabolic disorder. It can be caused by insulin resistance, insulin deficiency and hyperglycemia. Type 2 Diabetes occurs because of defective insulin secretion with the defective responsiveness of the body to the insulin. We can call them insulin resistance. These two factors lead to hyperglycemia. We can also associate it with obesity and growing age. The inheritance pattern is also noted in type 2 Diabetes cases. If you are pregnant, having hypertension and cardiovascular diseases. Then they are also considered as risk factors which can develop Diabetes. Type 2 Diabetes can occur at any age but it is not common in childhood. Usually, it starts with insulin resistance in which body does not use insulin properly. In the beginning, pancreas tries to fulfill the demand of insulin but later it fails to secrete enough insulin. It leads to hyperglycemia. There are several diseases which are surrounded by myths because of lack of information. It is necessary to get rid of those myths first. We are providing the facts about those myths. Reality: There is no proof which proves that sugar causes Diabetes. We can relate it to family history, little or no physical activity and wrong eating habits. Myth: Healthy food does not give rise to blood sugar. Reality: We know that every food contains carbohydrates. Usually, there is enough insulin is present in the body to utilize the carbohydrates and blood sugar will not increase. If your body does not have the ability to produce enough insulin, the blood sugar will rise. Whether you eat healthy food or not. Myth: Only medications or medical treatment can control Diabetes. Reality: Diabetes requires healthy food along with medical treatment. Medications are another part of the cure. A healthy lifestyle is also needed which will allow the medication to work effectively. It includes regular exercise routine and well balanced or healthy diet. Reality: Diabetics can eat the same food as of non-diabetics, but it should be in moderation. Myth: Exercises do not help in Diabetes. Reality: Exercises helps the pancreas to produce more insulin and it also keeps the stress level under control. 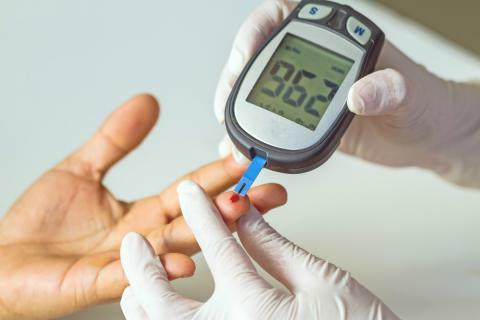 These two factors can help you to maintain your blood sugar level. Myth: People having Diabetes can eat any sugar-free product. Reality: If you are using a sugar-free product, it does not mean that it is calorie free. It is suggested that you keep a check on calorie product of food before consuming it. In this way, you can maintain the calorie intake to keep a check on blood sugar levels. Myth: My family does not have the history of Diabetes, so I shall not get it. Reality: Some people are born with a greater chance of obtaining Diabetes than others. However, there are different people diagnosed with the ailment who does not have a family history of Diabetes. Your weight and lifestyle can give rise to the factors which develop Diabetes. Myth: The stress of everyday life is not related to Diabetes Mellitus. Reality: In fact, the stress, emotions and crisis situation play a vital role in the development of sugar level. Therefore, the Diabetes affectees should keep themselves relax in order to maintain their stress level. Phosphorus is a natural homeopathic medicine which is helpful in treating Diabetes Mellitus though it depends on symptoms. It is helpful in Diabetes if the patient is suffering from weakness of vision. Syzygium is one of the best natural homeopathic medicines which can reduce the sugar levels or Diabetes. It acts instantly in order to decrease the sugar levels. The patient is always accompanied by the excessive urination and thirst. Syzygium is also a wonderful remedy for well-established ulcers in a diabetic patient. Phosphoric Acid is a prominent natural homeopathic remedy for extreme weakness whether it is physical or mental. The patients of this medicine feel tired and their memory is also weak. There is a history of grief may be available in these patients. If a patient feels numbness in his feet, Phosphoric Acid is an ideal medicine for that patient. Abroma Augusta is one of the top natural homeopathic medicines to treat Diabetes Mellitus. We suggest it when the patient is losing his flesh and also suffering from extreme weakness. Abroma Augusta is beneficial for those who have an increased thirst and dryness of mouth as well. Additionally, urination is also frequent whether it is day or night. The patient also has an increased appetite and he feels excessive weakness after passing the urine. This homeopathic medicine is also of great help if the patient suffers sleeplessness with Diabetes. Homeopathic remedy Abroma Augusta provides good results in skin complaints like carbuncles or boils with Diabetes. Burning sensation in the whole body is an eminent symptom of this medicine. It is to notify that it is another homeopathic medicine for diabetes with burning sensation. Homeopathic remedies Arnica, Belladona, Phosphorus and Lachesis play the main role in dealing with eye complaints due to Diabetes. A Homeopathic doctor or expert can choose the best homeopathic medicine according to the symptoms. Lycopodium, Arsenicum Album and Serum Anguillae are those natural homeopathic medicines which can treat Nephropathy. A Homeopathic physician can select the best suitable medicine according to the case history. Kali Phos, Nux Vom and Phosphoric Acid are those homeopathic remedies which can be helpful in weak memory. Additionally, there are also homeopathic medicines to treat Erectile Dysfunction in Diabetes Mellitus. It is also the result of well-established Diabetes Mellitus. It is another homeopathic medicine for diabetes in which weak memory is a prominent symptom. In Homeopathy, we pay heed to the functioning of Pancreas to ensure insulin production. Helonias, Syzygium and Iodum are helpful in almost every stage of the disease. In type 1 cases, we advise the patient to continue conventional medicines along with homeopathic medicines. After several months, when the sugar levels are under controlled, we ask the patients to decrease the amount of conventional medicines. End of the day, we overcome sugar levels by using homeopathic medicines. In Homeopathy, we focus on symptoms and we select the remedy on symptoms as well. Therefore, every case should take care according to the symptoms.